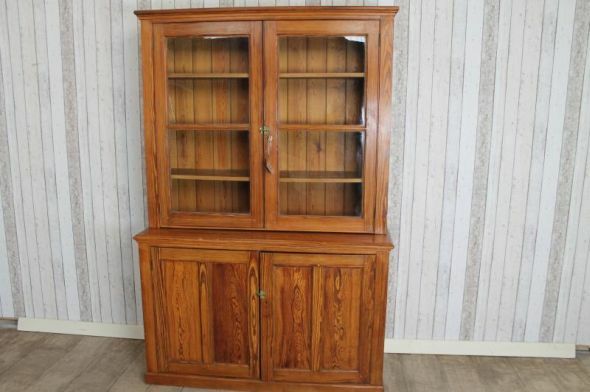 A superb quality pitch pine Edwardian dresser/housekeepers cupboard/bookcase. It features a large shelving unit to top with glazed doors, and a lockable door. This sits upon a cupboard base section with internal fitted shelves. The item is in excellent condition, and is an extremely useful piece of furniture for any kitchen, study etc. The item breaks down into two separate sections for ease of transportation and reassembly.